Though pitches may be dismissed by cynics as a ‘Beauty Parade’, many agencies are still willing to undertake a limited amount of creative work ‘on spec’ in an effort to secure new business – if, that is, they anticipate a generous return on this preliminary investment. Often this is if the potential client is big enough to justify the effort. At first glance, this would appear the most equitable and objective way to choose between similarly capable companies. Pitching is both speculative and time consuming, both for the agency and for you as a prospective client. So, for smaller projects, or in cases where an agency has come to you through recommendation, you should ask yourself whether it’s really necessary at all. If you do decide to invite firms to pitch, you should limit the number of applications to an absolute maximum of four, both for your sake and theirs. Be warned too that, although it can provide you with a measure of your shortlisted agencies’ capabilities and creativity, ‘the pitch’ is a poor facsimile of a firm’s day-to-day work. And, whilst the pitch team may comprise the company’s finest creatives and strategic thinkers, it’s only when the project begins that you’ll be able to properly gauge their suitability. The most successful campaigns originate in a genuine rapport between agency and client – and this is something that simply cannot be achieved in an ‘artificial’ pitch situation. Moreover, firms which are willing (and have the resources) to pitch for free tend to be larger companies with dedicated new business teams. The pitch process may actually exclude agencies that, though smaller, may be a better choice for your business. To counter this, you might consider offering some form of financial incentive, to encourage a more diverse spread of firms to pitch – in so doing demonstrating your commitment to the process, and the seriousness of your intent. 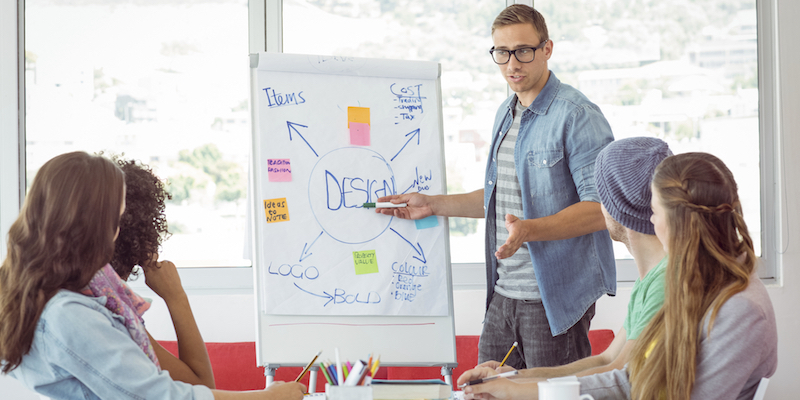 Although that contribution may not cover all the related costs, it could nonetheless motivate the candidates, ensure a professional process, and maybe even generate a few usable concepts for your next campaign. Their previous work and case studies – these can often be found on their website, or from a quick google. Have they worked on projects of a similar size and scale before, or in your sector. Do they mention the return on investment? Their size and resources – small agencies may provide a more bespoke and personal approach whereas larger agencies may have access to more of the skills and resources you’re looking for. Their website – it seems obvious, but it can be a great resource to find out more about the team, their work and their own brand and marketing – especially important if you’re looking for a creative agency. Their trophy cabinet – awards aren’t everything, but are an indication that their work has been valued by others in their industry. Their social media accounts – these can give an indication of the personality of the agency and how quick they are to respond to any enquiries or complaints. Personal recommendations – these can speak volumes and are often the most authentic sources that can help inform your decision. Author: Bev Hurley, GetSet’s Chief Executive Officer. You can find out more about Bev and the rest of our Senior Team here.